A tropical country homes to diversify of habitats ranging from lowland rainforest, mangrove forest, Montaine rainforest, mudflats and highlands, Malaysia is actually a paradise for bird watching. Malaysia features 55 Important Bird Area (IBA) consist of 18 in Malaysia’s Peninsular, 22 in Sarawak, 14 in Sabah and 1 oceanic island. With hundreds of bird species found in these areas, seabirds, waterbirds, highland birds and lowland birds can easily be spotted. Other than these officially listed bird watching areas, there are more than a dozen more of birding spots that are worth for a visit. Peninsular homes to 18 IBAs with majority found in Selangor, Kedah, Perak, Penang and Terengganu. For birders who enjoy to spot highland birds, Fraser’s Hill and Maxwell Hill (Bukit Larut) are both spectacular to spot Silvered-eared Mesia, Chestnut-capped Laughing Thrush, Gold-whiskered Barbet and etc. 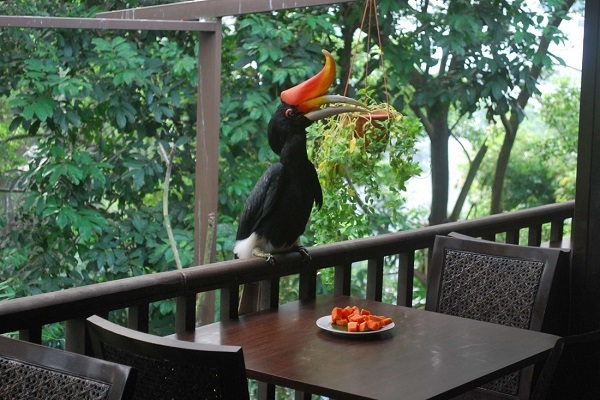 At the foothill of Bukit Larut, the heritage town of Taiping is a perfect place for lowland bird watching with Barbets being the common habitant here. With about 1 hour drive from Taiping, the mangrove area in Kuala Gula homes to some of the shore and mangrove bird species that are unique in this tropical country. Kuala Gula is also recognized as one of the major wetland bird sanctuaries in Malaysia. Some other popular bird watching spots in Peninsular include Taman Negara, Chini Lake, Kuala Selangor Nature Park and Endau Rompin are all worth for a visit. If you are joining a bird watching tour, these are the places that will sure be included in the itinerary. For birders who travel to the island of Borneo, there are plenty of bird watching spots that will sure to fascinate you. Nature enthusiasts will also love to visit these spots as they walk through the many national parks within the region that features magnificent tropical floras and faunas which are difficult to be seen in other places. It is also worth to mention that the most popular bird watching trails in Gunung Mulu National Park and Kinabalu National Park are both listed in the UNESCO World Heritage site. For visitors who prefer to spot seabirds, Pulau Layang Layang off the coast of Sabah homes to numerous seabird species. Great Crested Tern is probably the largest species on the island with more than 10% of Asian population residing here. 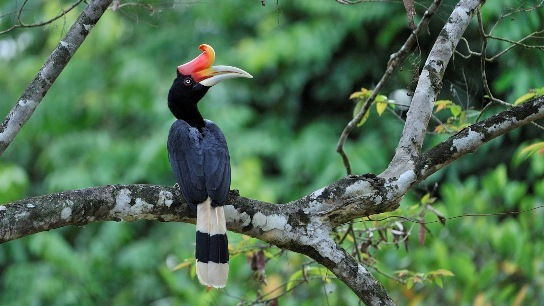 The best way to explore the many bird species in Malaysia is by joining a bird watching tour. Such tour not only propose the best spots for bird spotting, the package will normally covers for your accommodation, transportation, meals and necessary bird watching gears that will ensure to offer a fun filled bird watching tour in Malaysia.